You know you want this. Don't try and hide behind some kind of self righteous wall of excuses about the environment, your ability get to work on time, or how much you'll spend on maintenance because it really doesn't matter AND I'M NOT BUYING IT. YOU WANT A LAMBORGHINI V10 POWERED SUPER SEDAN...EVERYBODY WHO CAN FOG A MIRROR OR MASH A GAS PEDAL DOES. 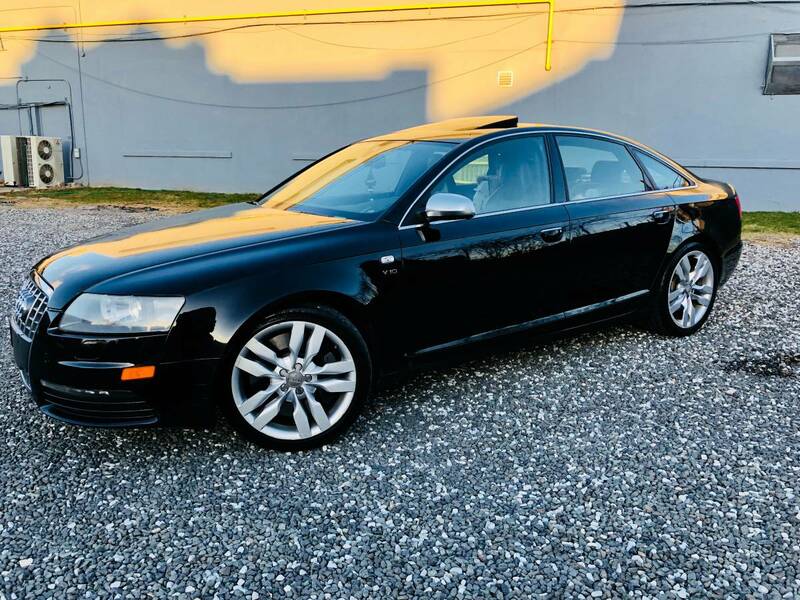 Find this 2008 Audi S6 offered for $10,000 in Ridgewood, NY via craigslist. WHY AM I SHOUTING? Tip from FuelTruck. I know why you re shouting, BECAUSE THIS IS INSANE! I love everything about this car! Well... almost everything. At the risk of being that guy, this car's risk doesn't come with the required reward. 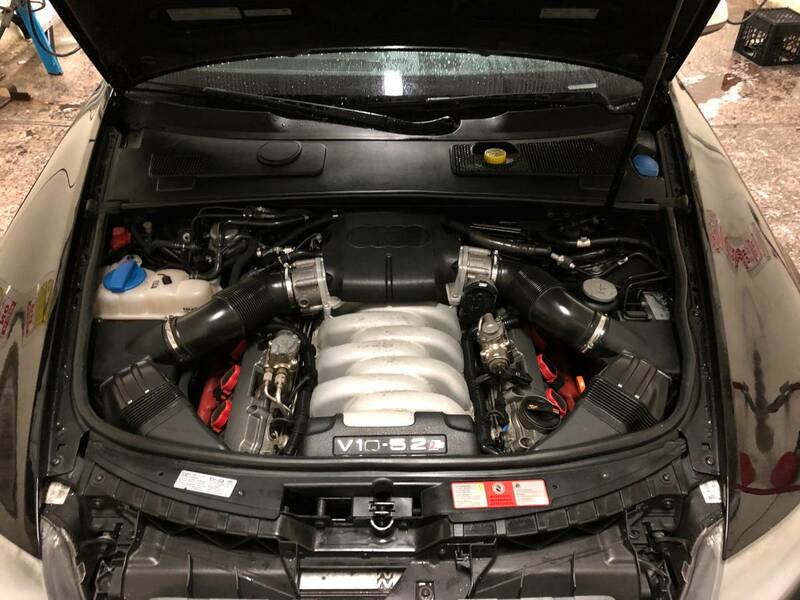 I still have no idea how you stuff a 435hp Lamborghini V10 in an awd sedan and not have it able to crack into the 4's in 0-60. This was really the last of the old-school, nose-heavy, plow through corners Audis before they finally got their (stuff) together in the 2010's and started beating BMW at their old game. I just see dollar signs and bragging rights that no one would really care about. Yes, in it's time the M5 and AMG chewed this thin up and spit it out. No doubt....CTS-V too for that matter. But driving this car isn't about winning stoplight drag races -- it is for winning the armchair street drags. You drive it like you drive a brand new Maserati -- slowly and with pomp -- you've got the supercar engine under the hood and the M5/AMG/CTS are just a bunch of tuner wannabes. At least that is how the only guy I've ever known to own one of these treated it. No doubt the M5/AMG/CTS-V's could have their way with it, but there is a definite uniqueness to car/drive train combo. A decent tune with the proper exhaust and these things sound amazing to boot. I just like the fact that you hardly see these on the road compared to a sea of the aforementioned big three models.
" I just like the fact that you hardly see these on the road "
This has two more of each of the other things that nearly bankrupted me in my old A8... Doesn't mean that I don't want it! You mean I can have WORSE handling than the newer Audis AND more expensive Lambo maintenance costs? Hey, what are armchair street drags anyways? Even an A4 has the reliability of a crackhead single parent, cannot imagine what this thing would be like to own. That being said my favorite thing about Lambos is the sound when they get on it. Can just imagine this family sedan with that sound, worth the price of admission.